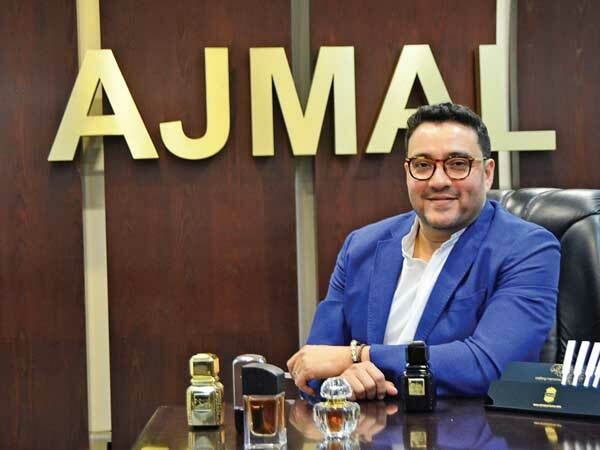 UAE-based Ajmal Perfumes is looking at a major expansion in India. After being ranked 37 among 100 most powerful Indians in the Gulf in Arabian Business, Abdullah Ajmal, who holds the distinction of being the first of the third generation of his family to join the business of perfumes and is a consulting perfumer at Ajmal Perfumes, feels India offers tremendous opportunities. He plans to start 300 outlets of the perfumery in India in next three years. “We plan to open up to 300 points of sale and will be soon launching products that cater to the Indian taste. We have got a tremendous amount of research. India is very segmented and diverse. We have a lot of references about – Aurum, which is a best seller,” he boasts. Ajmal is working with big ecommerce brands and has its own ecommerce site too. It has 30 exclusive retail outlets in India so far and is aggressively trying to create a footprint. His mission is to introduce Ajmal Perfumes to cater to diverse tastes. He also wants to create a broader range of products for Ajmal, with a vision to evolve the range in lifestyle brand. disposable income and higher luxury spending have contributed to rising sales of perfumes in these economies. The report further adds, women segment will dominate the market and is projected to reach $37.24 billion by 2023 at a CAGR of 5.67 per cent in terms of value, while the men segment is projected to grow at a CAGR of 6.53 per cent to $23.85 billion by 2023. Ajmal Perfumes has grown from a modest trading house into a multimillion dollar corporate entity. “My grandfather, late Haji Ajmal Ali, was the one who laid the foundation stone of Ajmal in 1951. After trying his hands in many businesses, he finally settled with Agar wood trade. It was at a nascent stage,” Abdullah recalls. “We moved to Mumbai as India was a big market for Oudh and Oudh oil. All the hard work he put in, paid. He opened our first store in Mumbai in the 60’s. It was in 1976 that he sent my uncle, Fakhruddin Ajmal, to set up a store and office in the United Arab Emirates. He realised that if he were to grow further, he would have to move to where the customers were coming from. We set up our first store in 1976 in Souq Al Kabir in the UAE and today we have over 240 outlets across the six GCC countries and Malaysia,” Abdullah said. Ajmal has a vast portfolio of over 300 fragrances. “When I was growing up in Mumbai, we had only one fridge where we would store our saffron. The cold water was always laced with saffron. I grew up drinking that. Today people drink all sorts of infused water. That was an early learning,” he recalls. After finishing education in London and a brief stint with the United Colors of Benetton, when Abdullah returned to Dubai, he was mentored into the field by his uncle as well as a famous French perfumer. For almost seven years, his main task was to smell and understand the raw materials used to create the juice. “Cultural references are very important in this business. For example cumin is very trendy in male perfumes. An oriental will immediately know the smell but a westerner won’t. My uncle had great understanding of the oriental fragrances and he was the first to create a fusion between the two. Today 40 per cent of our fragrances cater to oxidental tastes. The global trend although is moving to oriental styles and we are experts in that,” he adds. He formalised the marketing activities of Ajmal and brought in a specialised creative design organization, emulating the tricks of the trade from the West. “We brought in a lot of changes within our industry in the region. We soon moved towards international, selling products in over 45 countries,” he says. Earlier the products would be packaged in a particular style. The product - Hind - which was a rage in GCC, was launched during a fashion show in a special case that looked like a mausoleum. However, he soon realised the need to package everything into a story. “When you tell the story customers can relate to it,” he says. He has similar plans for India where he feels there is a refined taste for perfumes and people are ready to pay. “Bespoke is a substantial part of our business. There are special projects – with olfactive branding, where the nose knows the design and the scent and emotion often affect the brand strength,” he says. Well coffee shops do it all the time, induce the scent of coffee that entices customers for a fresh brew. Today, copy and counterfeit are the biggest challenges for the industry. “When we do a new brand from conceptualisation to selling, it takes anything upto two years. The sad part is somebody would go to China and get a similar packaging with a similar juice and sell it at sixth of the price. A lot of money goes into R&D. And these go waste,” he complains. All the high-end packaging is done in Europe. Earlier they would do the counterfeit but they could never come too close because of the bottling technology. Even though a little similarity would affect the brand. “But today China and India have come so close to the European technology that they can do the same copy that an untrained eye may not be able to tell. Technology breaks down things very easily. Earlier perfumers would do the perfumes but now chemists are doing the perfumery. I have a chemist who can break down any formula in 24 hours and tell us all the ingredients used and thus 90 per cent of the work is done,” he cautions. Under such circumstances only a strong R&D keeps these brands ahead in fighting fake. They develop raw materials where only the perfumer keeps a captive formula that is top secret and is never listed on computers. “There are benchmark products, people cannot copy. We use 20-25 per cent captives. There will always a chance of coming 50-60 per cent close to what you have created, though,” Abdullah explains. The other challenge is post 9/11 couriers cannot carry perfumes outside Middle East. Only shipping can be done and many raw materials are often banned in many countries. This hugely affects our business. “I send my complete juice to different countries, the filler adds the water and level of alcohol specified, store it for a number of days and fill it and send it. Regulations globally are becoming too stringent and absurd, where ingredients are being banned. Like lemon oil, for example has been banned in many countries. Perfum­ers have to hunt for alternatives, which can never come close enough to match the actual fragrance. Hence you may often notice that the signature scent you would use for last 10 years, does not smell the same anymore,” he adds. While in India the rules are not as stringent, the registration process takes a long time. “The product needs to be on the shelf immediately after its launch but that doesn’t happen in India. Every time we have to register after the product is launched and this takes a long time, creating a huge gap between what is available internationally,” he says.